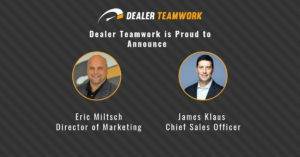 We are excited to announce a great new added value feature for Dealer Teamwork clients – Body Style Landing Pages! 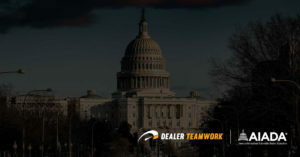 This new landing page format allows dealers to have body style specific pages, similar to our model-specific landing pages, on their site. You can now feature multiple makes and models on one, highly optimized page. 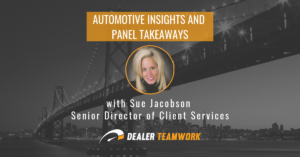 This new page type is ideal for independent dealers and used car clients, but anyone who wants more options for showcasing their inventory can benefit from these new pages. 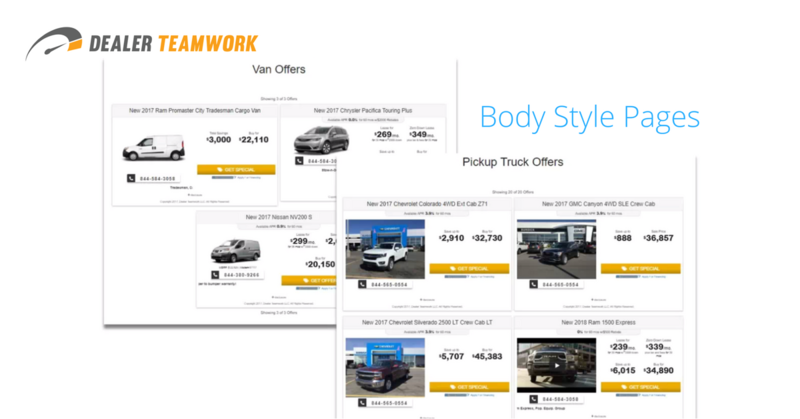 Adding body style pages to your site gives your customers more opportunities and ways to shop for vehicles in the way they want. Want body style pages on your site? 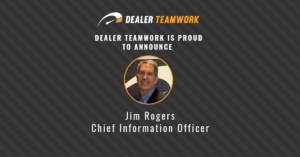 Contact your Dealer Teamwork Account Manager or Dealer Teamwork Support to get set up!